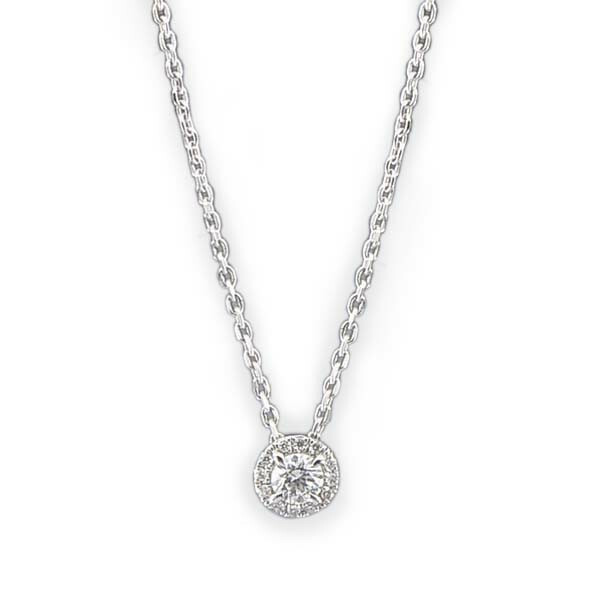 This Forevermark diamond pendant necklace is part of The Center of My Universe collection. The 18kt white gold piece features glittering, gleaming diamonds suspended from a white gold chain. The focal point is a round center stone surrounded by a diamond halo. It's a heavenly creation from Forevermark.